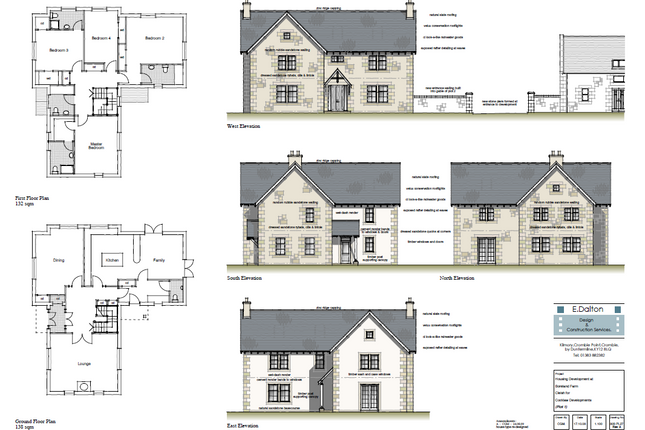 Exceptional building plot for sale within small bespoke executive development near Cleish. An exciting opportunity to build a new build home within a high quality development of only nine private executive homes with high standards of design and materials. The plot has detailed planning permission for a 270 sqmtr two storey home plus double garage on 890 sqmtrs. Outstanding rural location set in open countryside with beautiful views of rural Kinrosshire. Property descriptions and related information displayed on this page, with the exclusion of Running Costs data, are marketing materials provided by Thomson Homes - Braehead Park, and do not constitute property particulars. Please contact Thomson Homes - Braehead Park for full details and further information. The Running Costs data displayed on this page are provided by SmartNewHomes to give an indication of potential running costs based on various data sources. SmartNewHomes does not warrant or accept any responsibility for the accuracy or completeness of the property descriptions, related information or Running Costs data provided here.